SHORT 14 IN. TURNING RADIUS: 14 in. 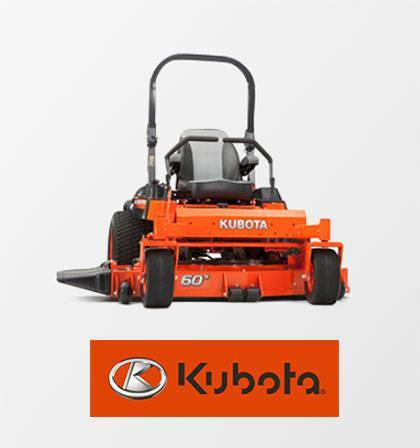 is all you need to turn a T90 Series lawn tractor, letting you easily maneuver around posts, light fixtures and other hard to mow-around objects. This best-in-class turning radius also comes in handy when transporting and storing your lawn tractor. FRONT AXLE: Ductile cast iron provides a strong and durable front axle that easily handles the bumps and shocks of extreme mowing jobs to ensure a long and dependable service life. LED HEAD LIGHTS: The LED Head Lights are a great feature in low light conditions. 12-VOLT POWER OUTLET: Easily charge your phone and more. 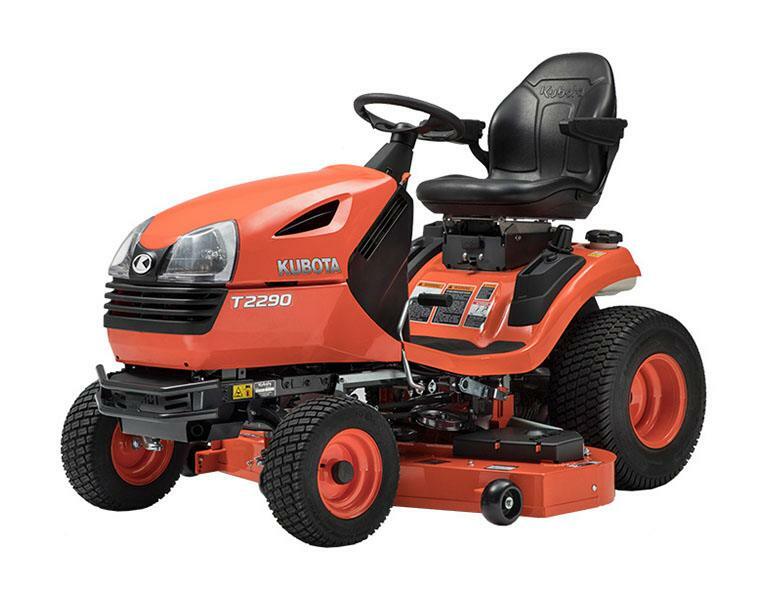 FLAT FOOT REST: The T Series features the flattest foot rest in its class – no bumps, no humps, nothing to get in the way when getting on and off the mower. SUSPENSION SEAT: Parallel link suspension provides an even greater level of comfort and support, and adjusts a full 4" inches forward and back so you can find just the right position. NEW STEERING WHEEL: A thicker, easier to grip steering wheel ensures maximum control and ease of operation while reducing vibrations. Positioned higher to reduce fatigue and enhance operator comfort and control. NEW HIGH POWER GASOLINE ENGINES: Rugged and dependable gasoline engines have plenty of power to get you up the hill without stalling. Both the T2090 and the T2290 have powerful 2-cylinder V-twin engines. DESIGNED FOR COMFORT: The T90 Series was designed with one goal in mind: to make your job as easy and comfortable as possible. With an ergonomic operator layout, everything about it says comfort. Featuring a high-back seat with extra cushioning and support, these adjustable seats with dual armrests (optional on T2090) provide a premium level of comfort. EASY CUTTING HEIGHT ADJUSTMENT FROM YOUR SEAT: 1. Pull the lever to lift the deck. 2. Use the dial to adjust the cutting height. 3. Release the lever to lower the deck. FABRICATED MOWER DECK: A fabricated mower deck gives the T90 Series’ mower deck excellent rigidity and strength, ensuring years of trouble-free operation and reduced maintenance. ENHANCED DURABILITY: A tubular-frame structure enhances the T90 Series already exceptional durability, rigidity and strength. Even under tough terrain conditions, such as irregular lawn layouts and steep slopes, this lawn tractor will continue to provide years of dependable service. 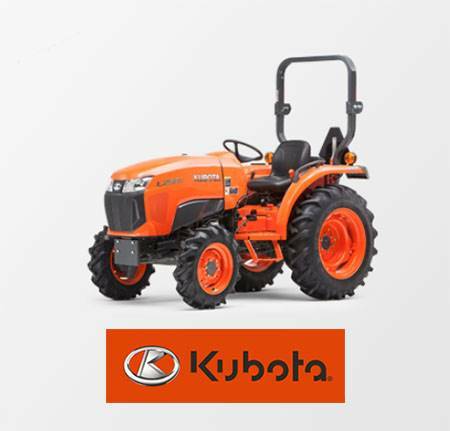 HYDROSTATIC TRANSMISSION: T90 Series lawn tractors incorporate a foot operated hydrostatic transmission that simplifies control of speed and direction, leaving your hands free at all times for precise steering around trees and shrubs or maneuvering in confined spaces. NEW DASH: The T90's cruise control feature allows you to maintain a constant mowing speed once you have reached the desired speed. You can also reach the desired speed by pulling the cruise control knob. 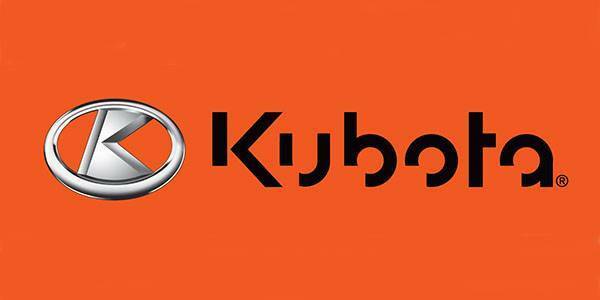 In addition, the T90 is equipped with the Kubota Reverse Awareness System (KRA) to prevent you from moving in revere. You may choose to override the system by depressing an override switch. A flashing light reminds you that reverse moving has been selected.